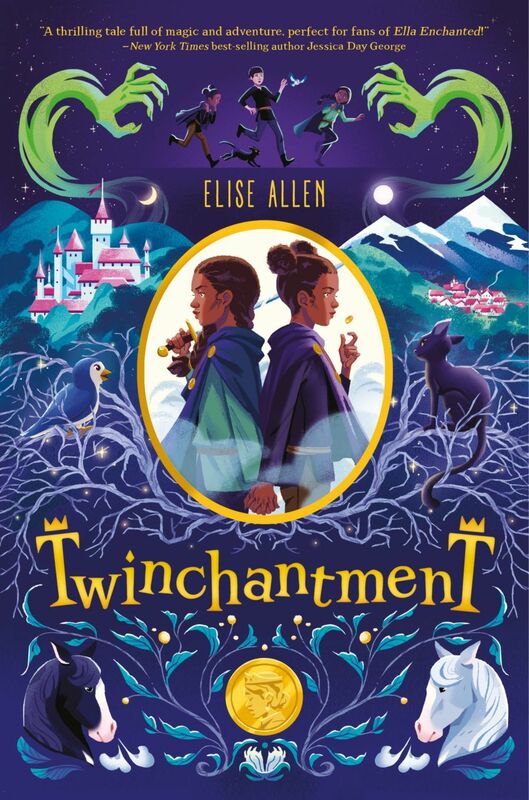 We have the exclusive cover reveal for Twinchantment, a upper middle grade fantasy novel by Emmy nominated, New York Times bestselling author Elise Allen. Twinchantment is the brain-child of Elise Allen, who co-wrote Hilary Duff’s best-selling Elixir series as well as Bella Thorne’s Autumn Falls series. It’s also just been announced that Twinchantment has been optioned as a Disney Channel Original Movie! But when the first magical attack in years puts their mother’s life in danger, the girls must break the rules that have protected them to save her. Enlisting a brave servant boy and his plucky black kitten as their guides, they set off on an epic quest to the Twists—a forbidden place full of dark magic—to find the evil mage who cursed the queen. With a case of mistaken identity, a wickedly powerful exile out for vengeance, and time running out for their mother, the twins might just need to make their own magic to save the day. The cover features a lot of interesting elements that honor core elements of the story — the palace, the animals, and of course, the twins themselves. Let me start with this: I love this cover, and I’m so excited to share it with everyone! Huge kudos to the artist, Maike Plenzke, who filled it with all kinds of hints and Easter eggs about the adventure you’ll find inside. I don’t want to give away all Twinchantment’s secrets, but I’ll take you on a quickie tour of all my favorite parts. First and foremost, we have our heroes: the twins, Flissa and Sara. You can see they’re identical, but their hair and clothing is different. This is actually huge for them, because they’re princesses of Kaloon, where magic and all signs of magic (i.e. left-handedness, black cats, and twinhood) are illegal. All their lives, Flissa and Sara have pretended to be a single person: Princess Flissara. They took turns playing the role, one hiding in their room while the other lived out in the world, and always had to look and act exactly the same as one another in order to survive. 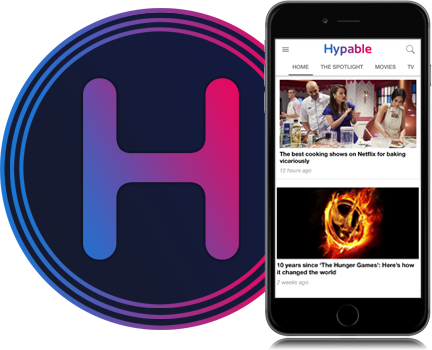 It’s only when something terrible happens to their mother and the girls head out on a dangerous adventure to save her that each twin gets the chance to be truly herself, as you see in the picture… but the change is nowhere near as easy as it might seem. Flissa and Sara aren’t alone in their quest to help their mother. They’re joined by three other characters featured on the cover: Galric, a servant boy whose father did something horrible to the royal family; Primka, the twins’ magical songbird tutor; and Nitpick, Galric’s secret black kitten. Like Flissa and Sara, they all have deep secrets that haunt them in Kaloon, but that give them strength and power on their journey into the darkly magical prison-world called The Twists. It’s separated from Kaloon by the Brambled Gates, the gnarled, living forest that grips the twins’ picture on the cover. Also on the cover is the coin, embossed with a picture of the twins’ mother, the Queen. You see it twice: once in Sara’s hand as she flips it, and once on the bottom, and if you think the repetition means it’s important… you’re right. As for the rest of the cover — the double moons, the horses flanking the coin at the bottom, and the wickedly magical hands reaching out to grab our heroes as they run for their lives — I’m bouncing up and down, so excited to tell you all about them… but I have to leave some things for you to find out when you read. Twinchantment comes out in April, and I can’t wait for you to join Flissa and Sara on its exhilarating adventure. Twinchantment hits store shelves on April 9, 2019. You can pre-order it from Amazon, Barnes & Noble, and IndieBound, or add it to your Goodreads list.